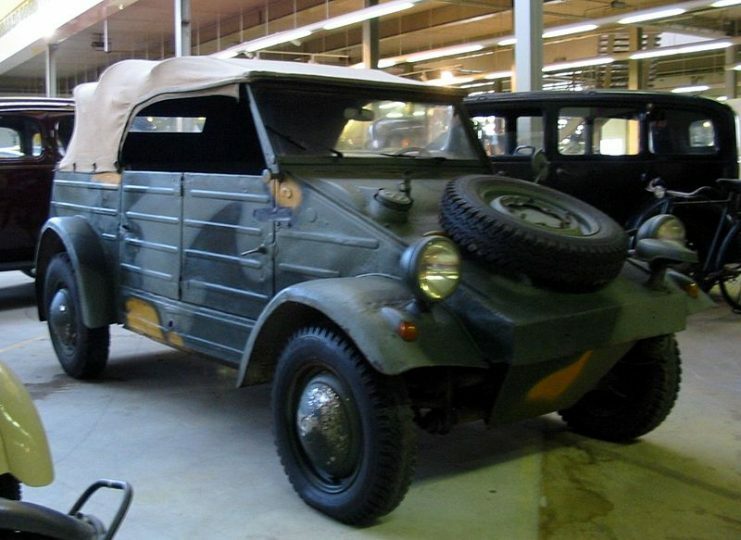 Perhaps the most iconic general purpose four-wheel-drive vehicle of World War II, right next to the Jeep, was the Kübelwagen. 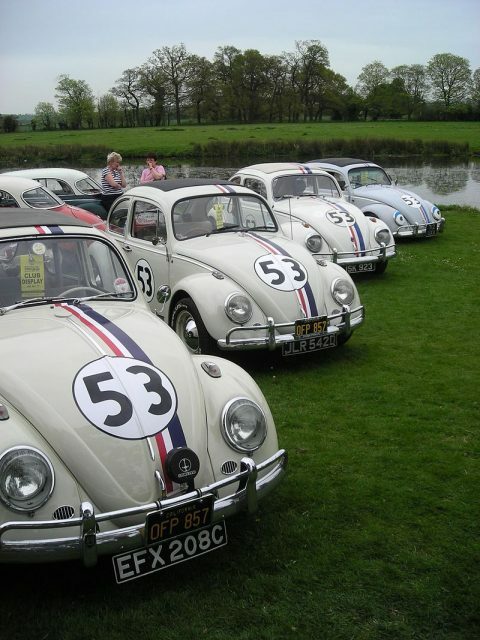 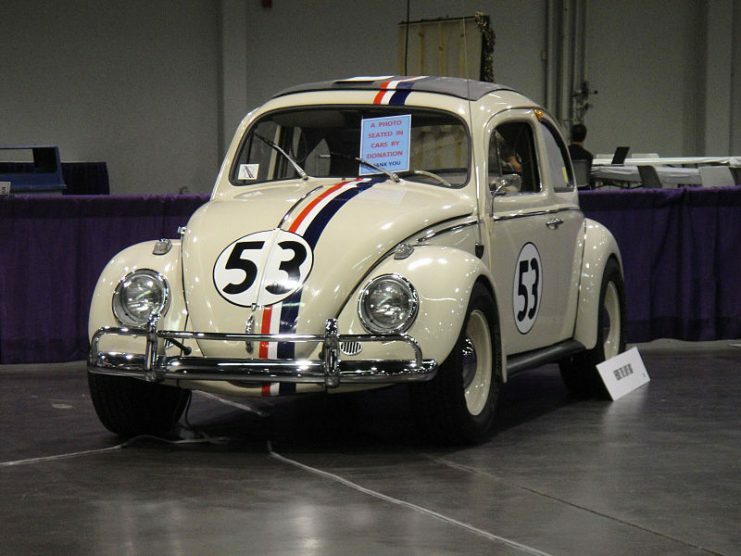 Easily recognizable by its angular design, it was based on yet another popular design―the Volkswagen Beetle. 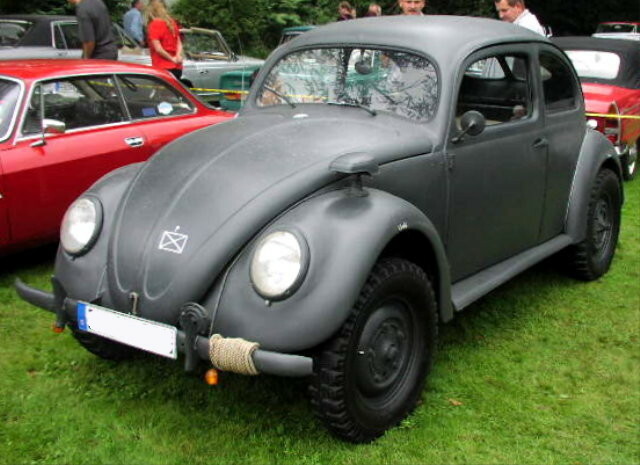 Even though Hitler and Ferdinand Porsche, the man behind the Volkswagen brand, envisioned turning the Beetle into a military vehicle in 1934, their plans did not become reality until 1938. 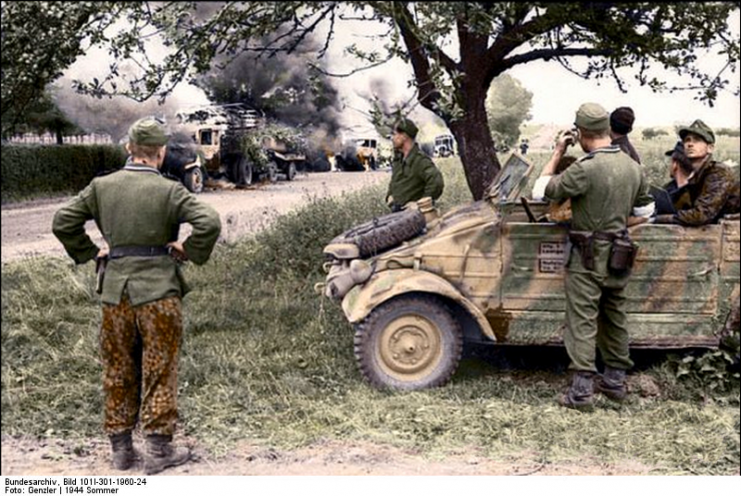 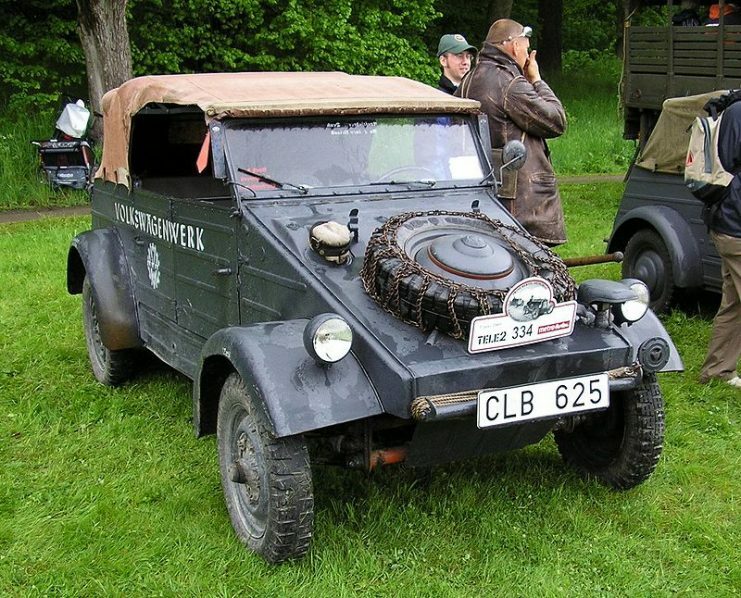 By then the German military was in the full swing of re-armament, and all sorts of vehicles found their use in the new Wehrmacht. 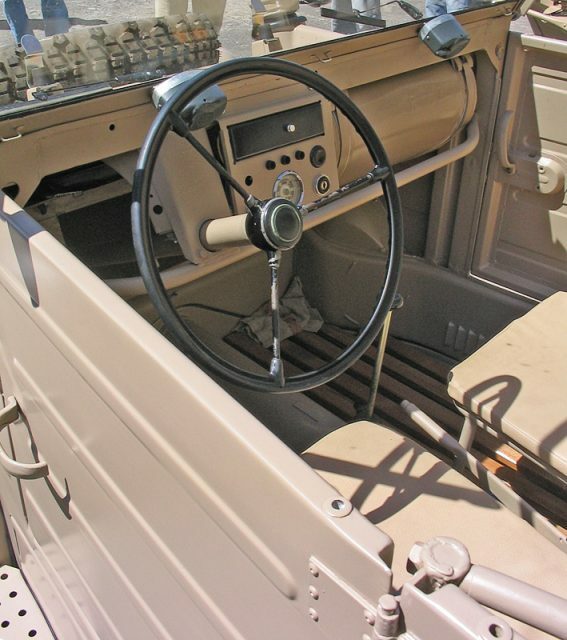 However, a slot was empty when it came to reliable, multi-purpose automobiles capable of both on and off-road performance. 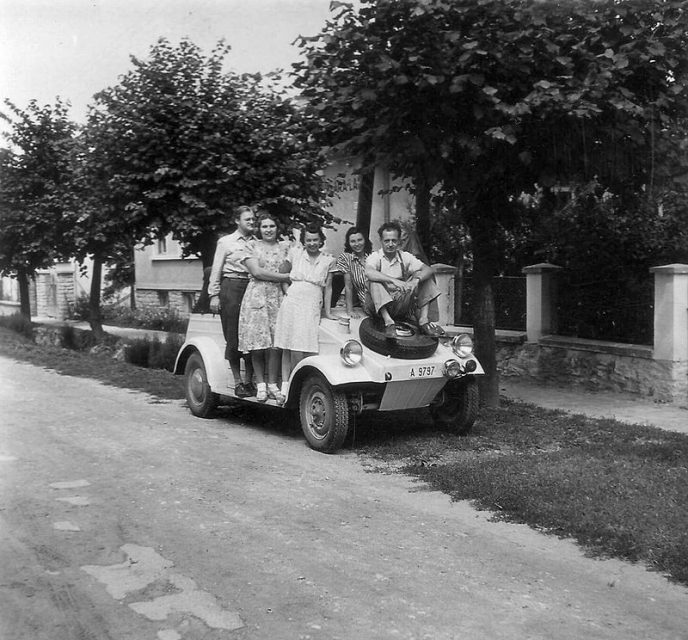 Type 82E—Kübelwagen chassis Beetle body. 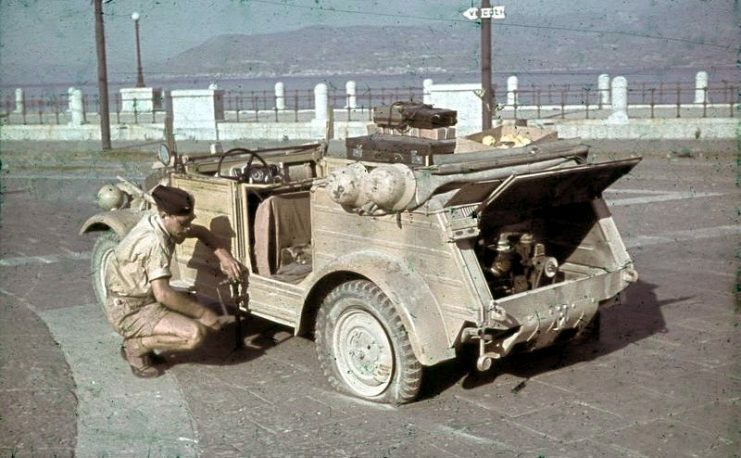 Unlike the Jeep, the Kübelwagen lacked four-wheel-drive capability, but compensated for that with its light weight and excellent suspension. 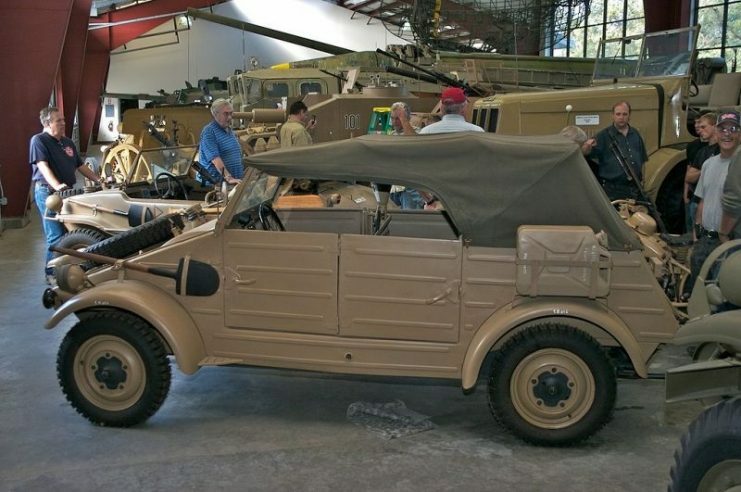 The German answer to the Willys MB Jeep, it was over 660 lb (300 kg) lighter, despite having a chassis that was 16 inches (41 cm) longer than its American counterpart. 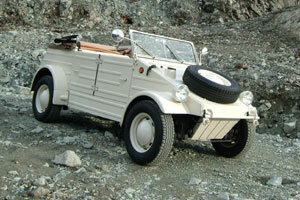 It was capable of achieving a top speed of 50 mph (80 km/h). 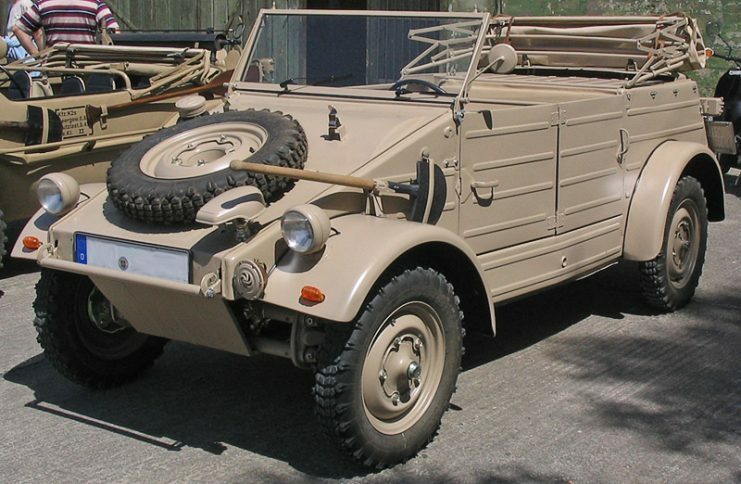 It was first tested in the field during the invasion of Poland in September 1939, where it proved to be highly effective, although commanders complained to Porsche that its minimum speed of 5 mph (8 km/h) was too fast for marching soldiers to keep up, so it needed to be reduced to 2.5 mph (4 km/h). 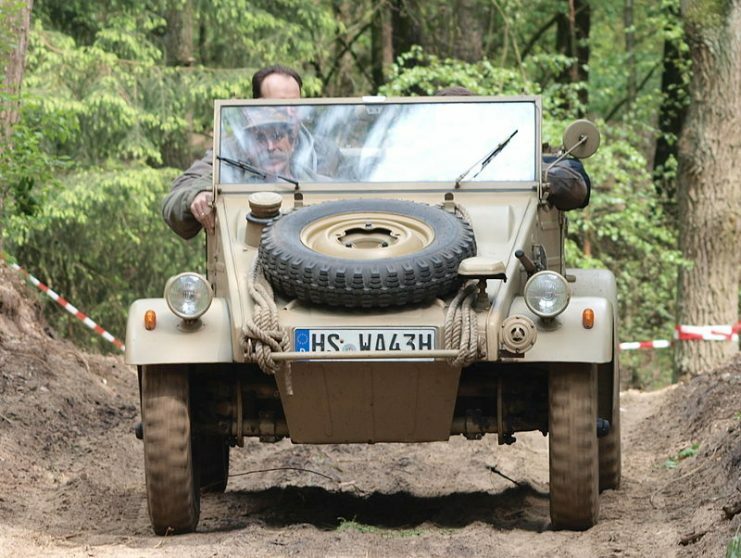 Also, the vehicle still needed some improvements to its off-road ability. 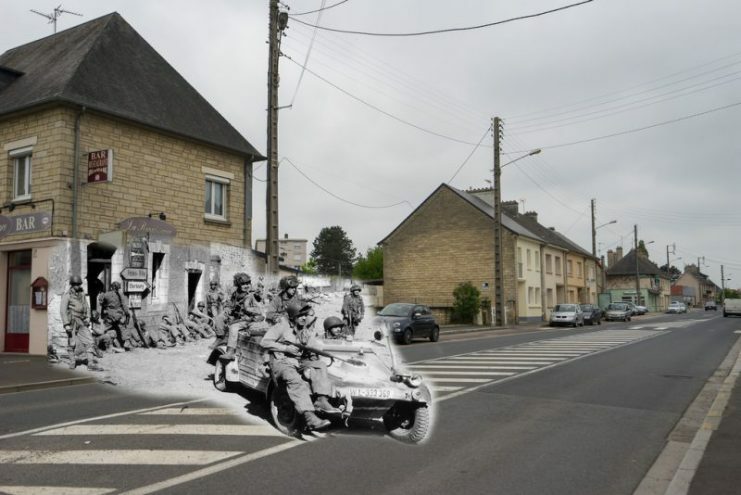 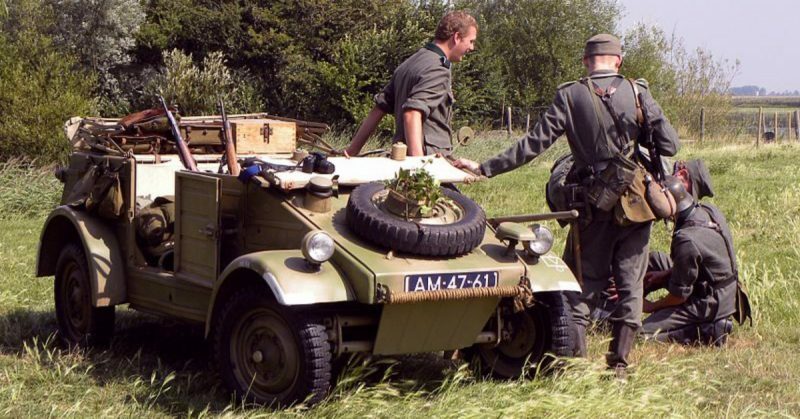 After these adjustments were made, the Kübelwagen changed very little during the course of the war. 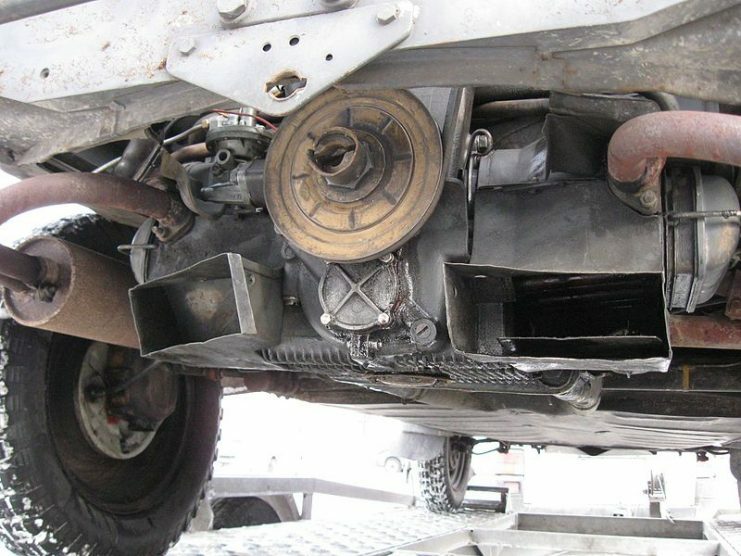 Very soon tests were conducted on how the vehicle handled harsh winter conditions. 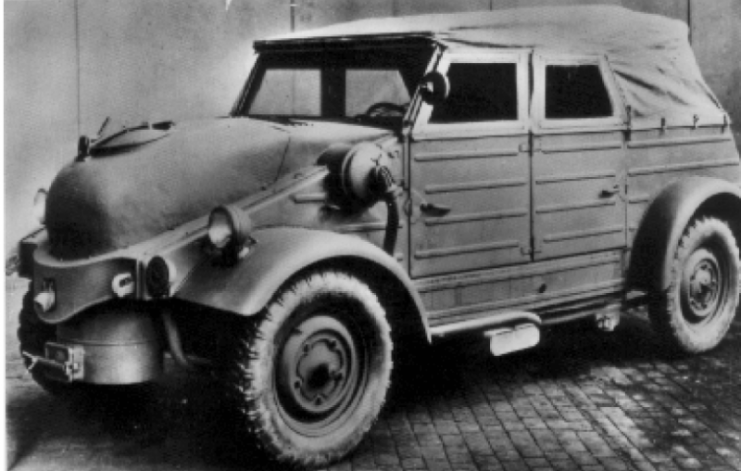 Reportedly, even the engineers working on the project were amazed by its performance. 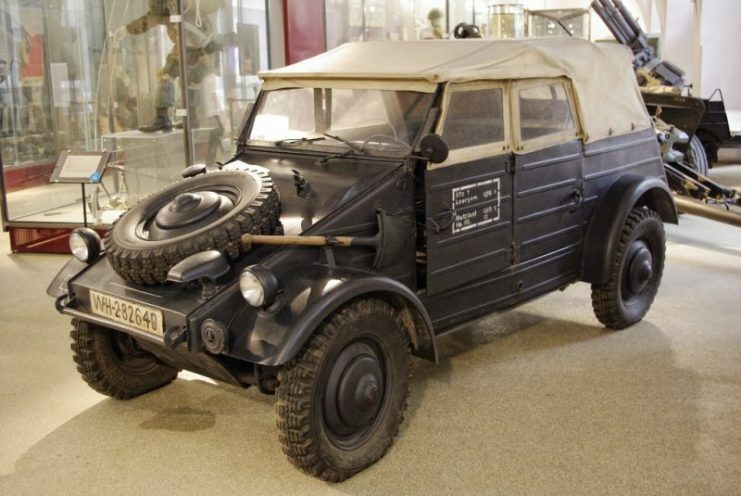 The Kübelwagen‘s smooth and flat underbody enabled it to function almost as a motorized sled when stuck in snow, sand, or mud. 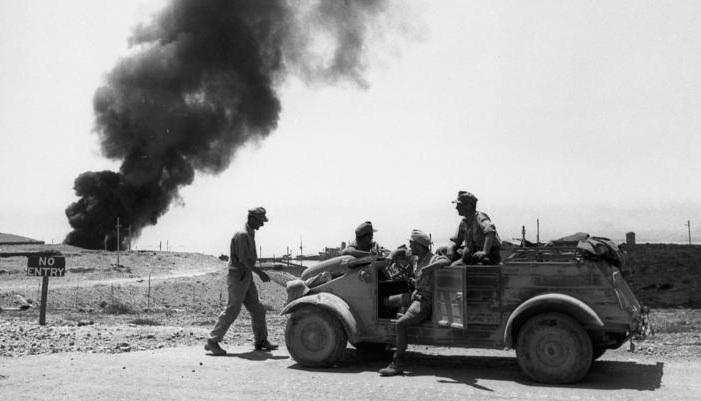 This proved to be a huge advantage on both the Eastern Front and the North African theater. 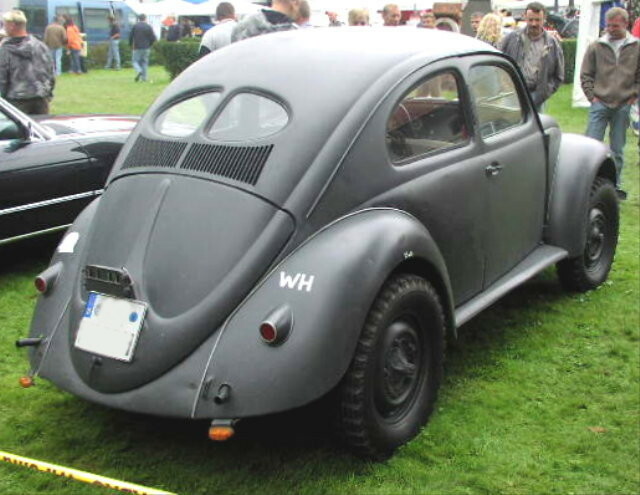 Other advantages included an air-cooled engine which could withstand high temperatures, and a small auxiliary fuel tank with volatile starting fuel intended to kickstart the engine in extremely cold weather. 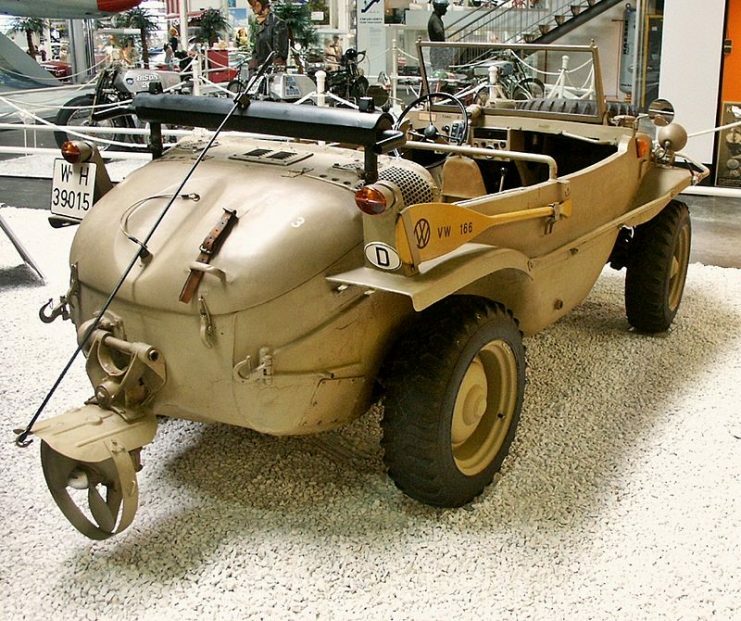 The Allies first tested the Kübelwagen in November 1943, after capturing several units in North Africa. 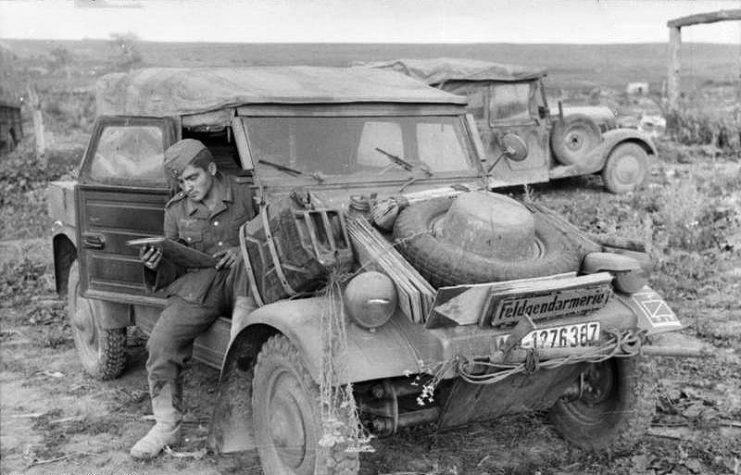 After thoroughly examining the vehicle, the Allies published a manual on how to repair and use the Kübelwagen during the upcoming invasion of France. 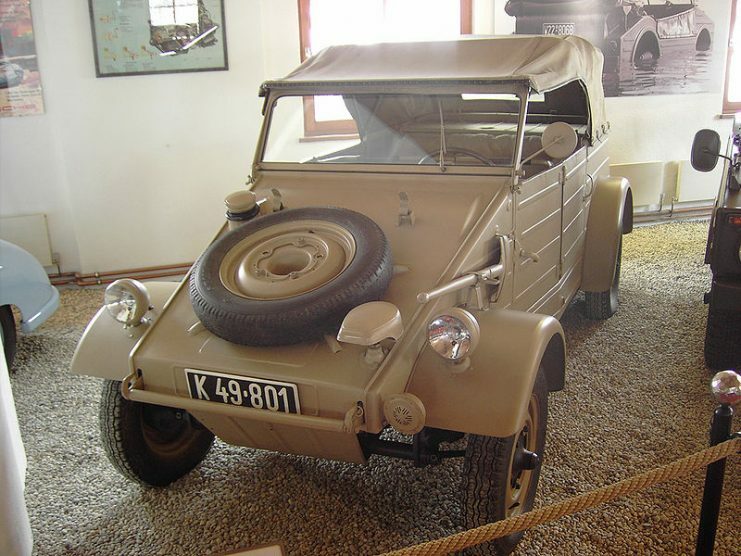 During the war, more than 50,000 Kübelwagens were produced and distributed to German troops on all fronts, and quickly became one of the trademarks of the Third Reich’s military.